A stronger community where hunger needs are met with sufficient access to nutritious food. Collaboration – We are stronger when we work together. Respect – We value the dignity and diversity of those we serve, our partners, volunteers and coworkers. Innovation & Creativity – We seek, identify and implement the best solutions to fight hunger, meeting people where they are. Service – We are united in a belief to serve those in need. Integrity – We achieve our goals by maintaining the highest degree of ethical standards and by putting our values into action. 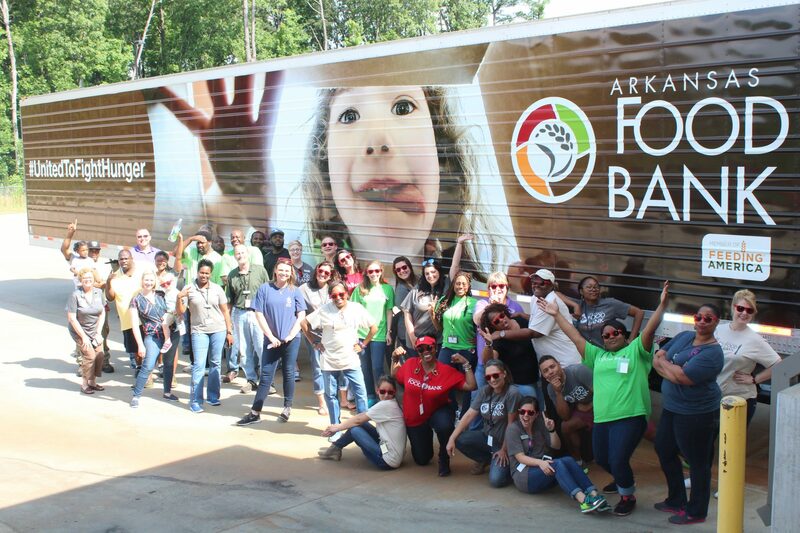 Arkansas Foodbank values the individual diversity of all employees, volunteers, donors and clients. Differences in age, race, ethnic heritage, religion, appearance, sexual orientation and many others provide experiences, viewpoints, and ideas that can strengthen and enrich our organization. We strive to create an organizational culture that values different perspectives and that is based on our organizational values. Diversity is the uniqueness each of us brings to fulfilling these values and achieving our vision. Arkansas Foodbank is a member of Feeding America and the Arkansas Hunger Relief Alliance.